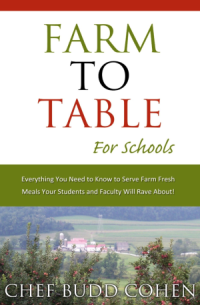 Taking Farm to Table to the next Generations of Chefs! On September 13 and November 22, 2014 I was the guest lecturer about the farm to school movement at the Culinary School of the Art Institute in Philadelphia. On these two recent Saturdays I had the privilege of going downtown and teaching young people about the farm to table movement, some history of food in America, nutrition, and how the Western diet has affected diseases such as diabetes, high blood pressure, obesity, high cholesterol and cancer. 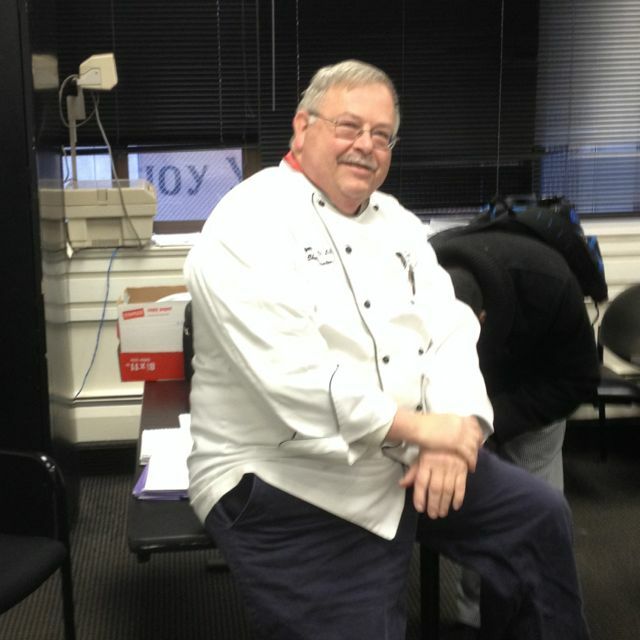 I was the guest of Executive Chef Roger Kelly who was teaching a introduction to hospitality class. On those occasions I spoke with four different classes, the students in those classes were first year culinary students. Each class was a little different and in most cases I found students who were engaged and very interested in serving healthy nutritious food produced sustainably. We started each class by discussing the meaning of the word sustainability and went over the basics of how the farm to table movement is changing the restaurant and food service industries. I asked the students if they care about where their food comes from? Some of the students had really not given it much thought. Interestingly though when I was going to culinary school there was no consideration of the source or production of the food. In the end, as young upcoming chefs they all agreed that it was important to use quality ingredients. Sourcing of food was a large topic of discussion, we spoke about how supporting local farmers, helps keep the money in the local economy, reduces the use of fossil fuels, and helps preserve small family farms for the future. We also spoke about how food begins to decay as soon as it is harvested and therefore food that is harvested closer can be fresher and more nutritious. We spoke about production methods, discussed organic farming, pest management techniques, GMOs and seed selection, and how local Farm production is affected by this. I also engaged the students in a conversation about how food in America has changed over the last hundred years or so, and about the difference between processed foods that contains a lot of sugar, fat and salt and food that is cooked from scratch. We discussed how our grandparents and great grandparents procured, cooked and ate foods. This led to a discussion about the invention of refrigeration and the fact that processed foods only became widely available starting in the 50s and 60s. TastyKake celebrated their hundredth anniversary this year. How could something that I remember being, so yummy be partially responsible for the food trend that has severely, negatively, impacted the health of Americans? The introduction of Processed packaged foods in to the western diet. I heard a statistic recently that said by 2050 one third of all Americans will have diabetes. I shared my opinion that if your great grandparents would not have recognized it as food and it’s probably not good for you. We ended our discussions with what we can do in the future, and how we can affect future generations, our own health as chefs, and how we can help support local farmers by cooking from scratch and purchasing local sustainably grown food.